Looking for a micro balance? Look no further, with Adam Equipment's new ABL semi-micro balance. This blog article shall examine Adam Equipment's ABL semi-micro analytical balance as well as look at the different types of analytical balance available on the market today. With readabilities from 0.1mg to 0.001mg, analytical balances are ideal for complex lab work that requires high levels of precision. They commonly are used in laboratories for measuring mass in small increments, and often are combined with an anti-vibration table and draft shield due to the sensitivity of the balance. There are several types of analytical balances to choose from, depending on the amount of precision required for your application. They offer a variety of readabilities, capacities and applications, and are categorised based on the readability. Analytical balances, also called milligram scales, are balances with readability from 0.1mg to 0.001mg. The most common analytical balance features four-decimal-place readability (0.1mg) and is used for most laboratory weighing applications, including measuring medicine and compounding chemicals. See our article on how to choose an analytical balance for more information. Semi-micro balances, such as the ABL, offer higher readabilities than analytical balances, with up to five decimal places (0.01mg). 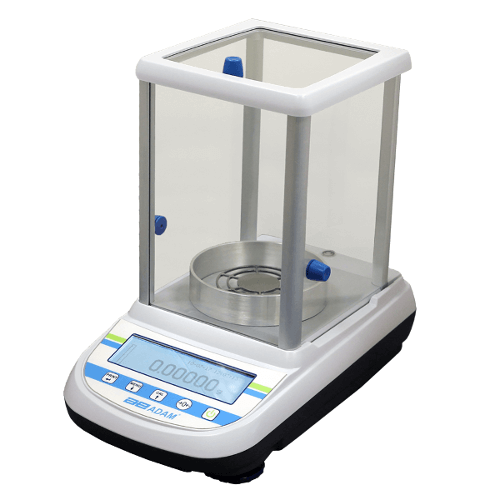 They are required for weighing powders, drugs and chemicals in smaller increments than analytical balances, but not to the level of precision as micro balances. Micro balances provide the highest readability — up to six decimal places (0.001mg). They are required when the highest level of precision is necessary, and are frequently used by advanced medical institutions and science laboratories for measuring chemicals, compounds and other small mass. Why choose the ABL Semi-micro balance? The ABL joins a broad selection of lab balances supplied by Inscale, which includes analytical and precision instruments that provide solutions to complex weighing needs for advanced scientific weighing. The ABL combines sleek design with precision performance to provide one of the best semi-micro balances on the market today. ABL balances include a selection of weighing applications, including density determination, formulation, percentage weighing, checkweighing and dynamic weighing. The ABL can also be used as a high-end analytical balance. Semi-micro balances are specialised laboratory equipment most commonly used in scientific experiments and in research for measuring small mass. It is essential that chemicals, compounds and other hazardous materials are handled with care and weighed precisely to ensure that correct ratios of compounds are maintained. To help prevent contamination, volatile or potentially dangerous substances require protected weighing chambers, which helps keep users safe. The ABL also offers specialised applications that can be used for pipette calibration and density determination experiments. ABL balances are well-suited for chemists and medical institutions, and can be used for weighing medicines, fine powders, herbal extracts and drugs to a high degree of precision. Some medicines and ingredients are particularly lightweight and require balances with a higher readability to ensure the correct sample weight. Micro-analytical balances are particularly useful for performing food testing procedures and analysis. The ABL can be used alongside other specialised food weighing equipment such as moisture analysers to weigh small food samples to a high degree of precision. ABL balances are suitable for weighing lightweight ingredients or spices such as saffron, turmeric and gold leaf. When would I use a semi-micro balance? Semi-micro balances such as the ABL are used for specialised weighing tasks. For example, the ABL is ideal for pipette calibration. Using the ABL, measure the amount of liquid dispersed by the pipette, and if there is a difference in weight, it’s easy to make the adjustments on the pipette. Miners wear safety devices that monitor and indicate the amount of particulate matter that goes into their lungs while they’re in the mines. The ABL can measure filter pads used in these environmental monitors before and after workers enter the mines, helping to determine the air quality they’ve been exposed to. How can I achieve maximum precision with my ABL balance? With its high level of sensitivity, the ABL requires frequent calibration and regular maintenance to achieve the best weighing results. 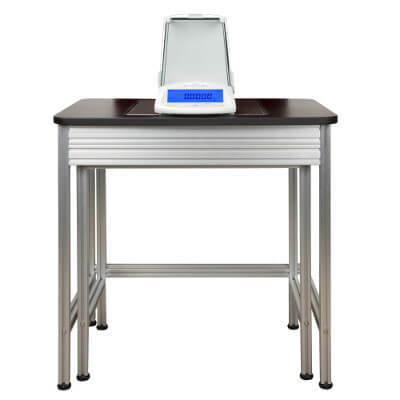 Generally, analytical balances are designed for lab use and are equipped with features and protective elements to provide the most accurate measurements possible. The ABL provides a protective draft shield that protects the weighing chamber from dust, wind, and other environmental factors that could skew results. In addition, use of an anti-vibration table can help prevent any type of movement that might affect measurements. 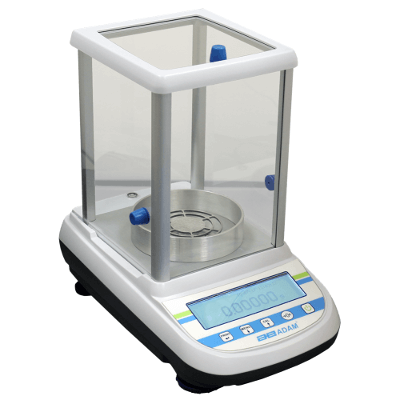 ABL balances offer a wide array of weighing applications, including density determination, percentage weighing and checkweighing. An anti-vibration table used in tandem with a semi-micro balance can help ensure precision and reliability in results. If you wish to If you require more information about the ABL or our other analytical balance models please feel free to contact us. Need this in a hurry? Inscale offer a speedy and secure delivery service on all our range of scales and balances. Buy the ABL Micro balance online today! The BM micro balance from A&D is a highly precise laboratory balance with percentage weighing, density determination and accurate parts counting applications. Ideal for advanced scientific weighing. Adam Equipment's Eclipse range of analytical balances are high performance scientific scales suitable for a wide range of laboratory applications from pipette calibration to dynamic animal weighing.